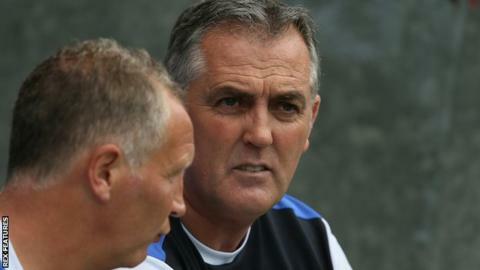 Blackburn Rovers manager Owen Coyle is confident his club will avoid relegation this season. Danny Graham scored twice as Rovers came from behind to beat Brentford 3-2 and move up to 22nd in the Championship, two points from safety. Coyle, who took over at Ewood Park in the summer, has seen his side just spend one week outside the Championship bottom three this campaign. "We will move ourselves to a position of safety in this league," he said. He told BBC Radio Lancashire: "There is absolutely no doubt about that and when we do, we need the right investment and the right time to kick on. "We believe that we can get this club, in time, back to where we feel we should be. "We want to get better in one or two areas and I certainly know the areas we want to improve the club."